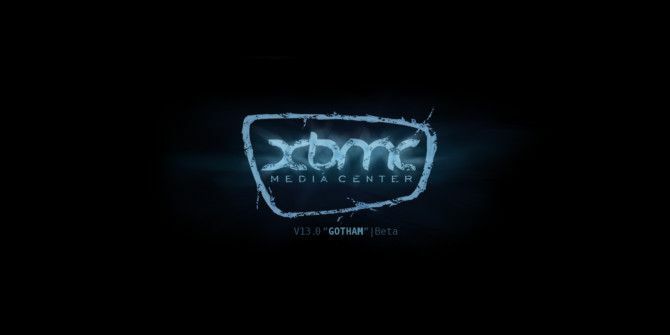 The dark night of waiting is over: XBMC 13, codename Gotham, has reached beta status. It feels faster, and looks better, than ever before. You can download XBMC right now if you’re interested – just scroll down to get to the beta. As always, there are pros and cons to running beta software: there may well be bugs at this point. If nothing else, news of the beta means the final release is that much closer. About a year ago XBMC became available on Android devices 5 Reasons to Install Kodi on Your Android Right Now 5 Reasons to Install Kodi on Your Android Right Now Kodi, formerly known as XBMC, is a fantastic media app for Android, and you're missing out if you haven't downloaded it yet. Read More . This new release offers a dedicated touch theme, and improved touch controls, and includes a number of Android-specific speed improvements. If you weren’t sure about XBMC on Android, Gotham is work checking out. But this new release isn’t just for Android users: XBMC continues to be a great option for Windows, Mac and Linux users, and a variety of features will be appreciated by them. For example, support for sharing media across your network. Users can now tell one system running XBMC to play a given file on another. Speed improvements for Android and Raspberry Pi. 3D support: SBS, TAB, anaglyph, and interlaced. Pulseaudio support for Linux users. Simpler settings screens, with optional access to advanced settings. New API, which could lead to a variety of creative plugins. The way skins work has also been overhauled, which is sure to inspire all sorts of creative visual takes. You can browse a list of in-progress skins if you want. Of those available right now, I’ve become partial to Amber – it’s fast, customizable and great looking. I’ve already had fun tweaking it. It’s also worth noting out that, back in November, XBMC introduced an official Add-Ons page. Here you can browse the official XBMC repository’s offerings. These are far from the only add-ons out there for XBMC, but they’re vetted – meaning they work well and are perfectly legal. Like the idea of XBMC, but aren’t sure where to start? Check out our guide on how to set up your XBMC media center. How do you download to Pi? Mine runs on radpbmx at the mo. Not sure about rappbmx, it's not mentioned. Nope, not for ATV3, just 1 and 2. ATV3 is pretty locked down, from what I understand, and it's not clear if there will ever be a version for it. Combine XBMC with my Odroid-U3 from Hardkernel and have been lovin' it. Much faster and even slightly smaller than a Raspberry Pi.